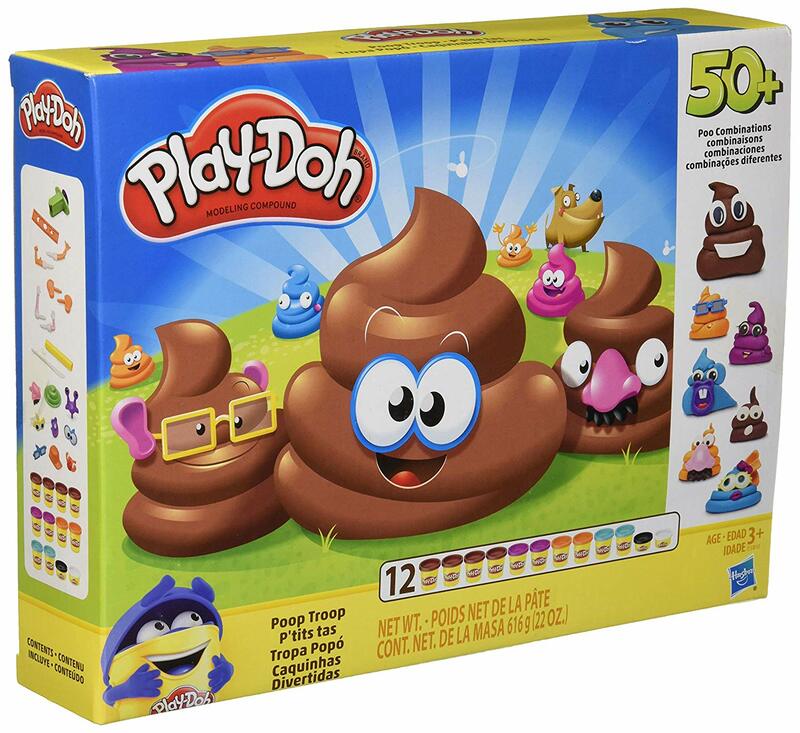 Yep, welcome to 2018 where kids get toys that simulate playing with poop. I just bought two sets. This is the Play-Doh Poop Troop Set ($39) which allows kids create their own hilarious poo characters out of squishy play-doh. 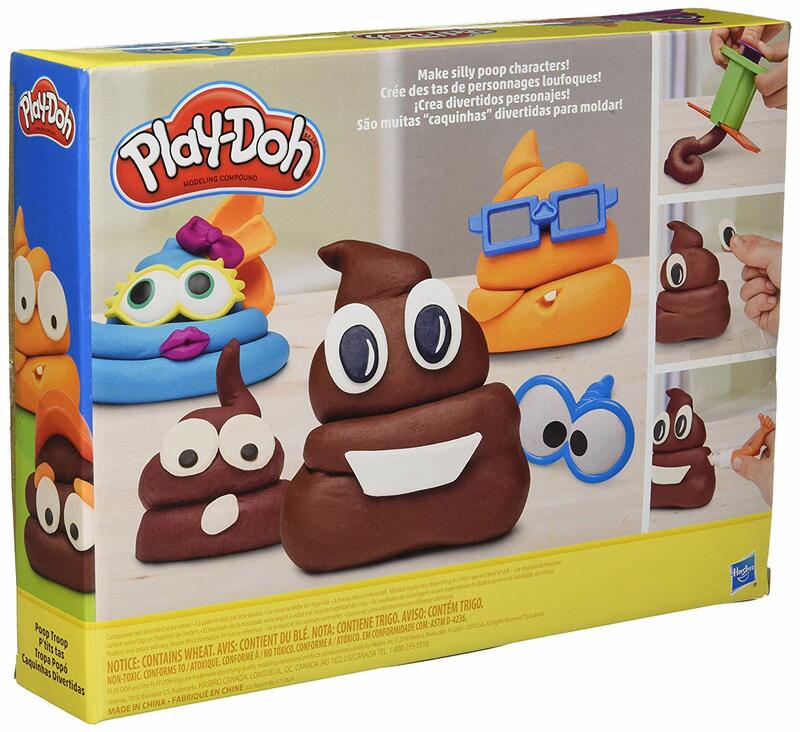 “Make creations like poop monsters or the famous emojis with the poo mold or by squeezing them from the decorating tool.” This poopy Play-Doh set comes with 10-cans of doh, 4 of which are brown in color.